Below are annual cost savings by 2010 from restructuring measures GM is taking as part of its Chapter 11 reorganization. 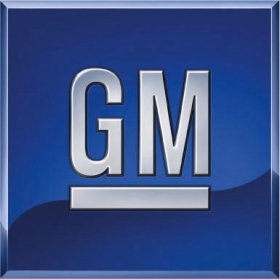 During its reorganization, General Motors should be able to shed about $12.5 billion (about 8.9 billion euros) in annual costs -- paving the way for possible profits, higher product spending and improved supplier health once U.S. vehicle sales recover to more normal levels, according to corporate documents and GM's Bankruptcy Court filings. And in a better market with much-reduced vehicle capacity, GM could even eliminate almost $3,000 per vehicle in incentive spending, adding an additional $8 billion in savings when compared with the pre-bankruptcy GM, says Dave Cole, chairman of the Center for Automotive Research in Ann Arbor, Michigan. The GM that will come out of Chapter 11 will need to burnish its brands to compete. GM's U.S. share has fallen from 22.3 percent in 2008 to 19.5 percent this year and is predicted to go as low as 18.4 percent in subsequent years. But in Cole's optimistic scenario, the smaller GM, with a clean balance sheet and drastically reduced fixed costs, has a chance to prosper.  Annualized U.S. vehicle sales return to about 13 million units from the current depressed levels of below 10 million. Chrysler also is shutting plants and reducing capacity, measures that could reduce U.S. vehicle incentives in the coming months. In 2008, GM sold nearly 3 million vehicles in the United States. Through May, the automaker sold just 772,733, putting the company in danger of missing the 2 million mark in 2009. "There's huge overcapacity right now," Cole says. "You get 4 to 5 million units of Detroit 3 capacity out of the system and maintain incentive discipline, there's significant savings available." This month, CEO Fritz Henderson said the new GM could break even at an annual U.S. sales rate of 10 million units. This from a company that posted a small operating loss in 2007 in a U.S. market of 16.2 million. The restructuring in Chapter 11 is stripping massive costs out of the automaker. GM estimates that its structural costs in North America will drop about 25 percent, from $30.8 billion in 2008 to $23.2 billion in 2010. The bulk of the savings will be achieved by 13 plant closings and a reduction in the UAW hourly work force from 61,000 employees in 2008 to 40,000 in 2010. That's fewer than a third of the 125,000 UAW workers GM had as recently as 2003. The UAW retiree portion of last year's total GM health care tab of $4.4 billion also mostly goes away in 2010. The savings could be about $2.4 billion as a UAW retiree trust takes over health care payments in 2010, combined with reductions in salaried retiree benefits. Under UAW concessions negotiated last month, GM dramatically reduced the cash it must contribute to the UAW-administered Voluntary Employees' Beneficiary Association. The UAW agreed to forgo most of GM's $20 billion VEBA obligation in exchange for a 17.5 percent equity stake in a reorganized GM and $6.5 billion in preferred stock. Instead of paying $20 billion in cash, GM will have to pay only $585 million per year for the next three years toward a $2.5 billion note to the VEBA. GM also will follow through with a plan to capitalize the UAW VEBA with $10 billion that it has saved in an internal company VEBA. In addition to the labor savings, Henderson testified to Congress this month that cutting dealers will save GM nearly $2.4 billion per year. When GM has finished cutting its dealership network from 6,099 stores before bankruptcy to 3,600 in 2010, the automaker expects to save about $2 billion on incentives paid to dealers, factory wholesale floorplan support and a 1 percent market support for each vehicle. That's an annual savings of about $928,000 per closed dealership, Henderson told the lawmakers. The reductions also allow another $415 million annually in cost savings for items such as local advertising assistance, service, training and support of information technology, he said. Cole, son of former GM President Ed Cole, paints an optimistic picture for GM and its suppliers.Taken together, the $12.5 billion in savings from restructuring will allow GM to strengthen support for suppliers that survive the current shakeout, Cole projects. The automaker will have money for technology spending and can provide the kind of volumes that suppliers need to keep their own factories running closer to capacity, he said. Spending on future products also can be maintained, Cole said. GM will spend $5.4 billion on future products and new technology in 2009, despite its bankruptcy. That spending is expected to range from $5.3 billion to $6.7 billion annually from 2010 through 2014.